Located in the Impérial district in Grand-Bassam, the ShowRoom is an art gallery run by the famous Jean Servais Somian. This genius artist has the art of doing wonders with trunks of coconut trees. This talent allowed him to have a world crawling and to see his works represented by the London gallery 50 Golborne, at the Grand Palais of Paris where was held the fair of modern art and contemporary Art Paris Art Fair. 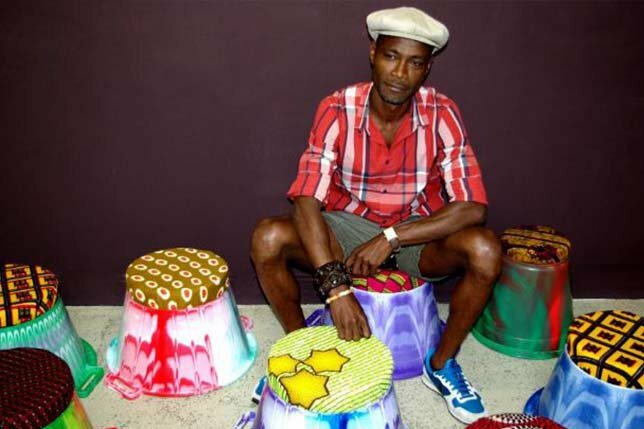 His creations are a mixture of coconut trunk with several materials including textiles, plastic, iron. You will find in the gallery a variety of decorative objects, stools, furniture and many other items that will make your interior unique.